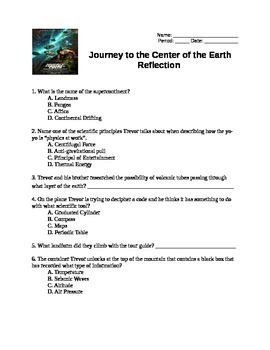 These 24 questions go with the Journey to the Center of the Earth movie released in 2008. All questions are science related and follow the order of the movie. There is a 3 page set of fill in questions for regular education students It also includes a four page multiple choice set of pages for special education students and a two page answer key. Topics include layers of the earth, minerals, and other general science topics.